The numbers symbolize quantities through corresponding features: on the number 7, for example, there are 7 hearts, and the number 4 has 4 braids. 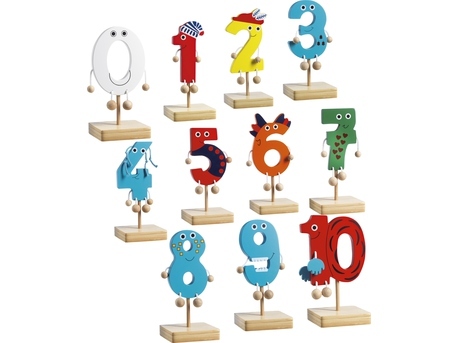 11 numbers with corresponding rods and stands made of wood. Dimensions: height approx. 14 cm, wooden foot 10 x 10 cm.